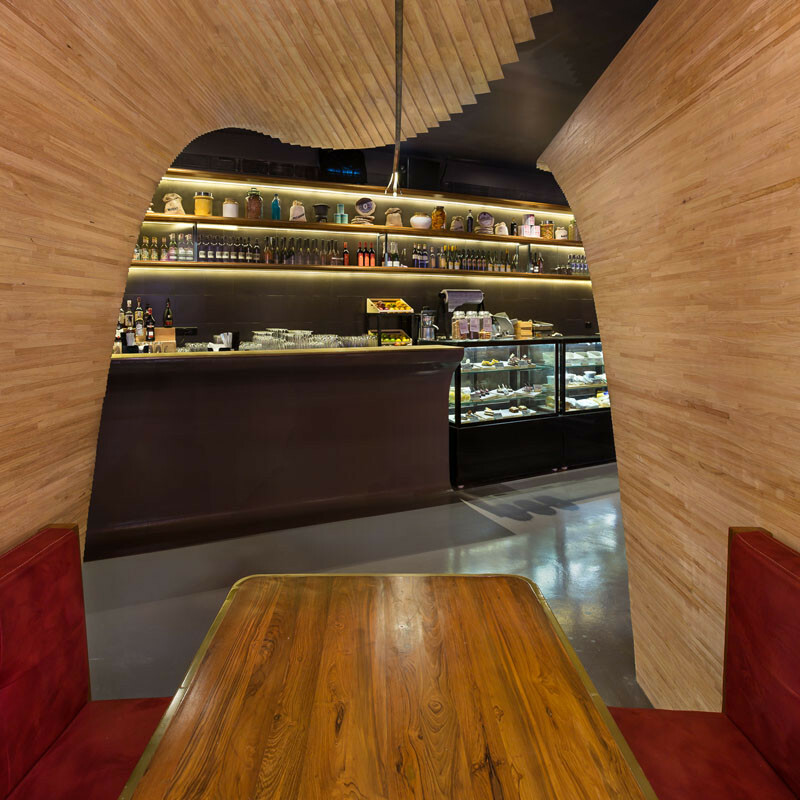 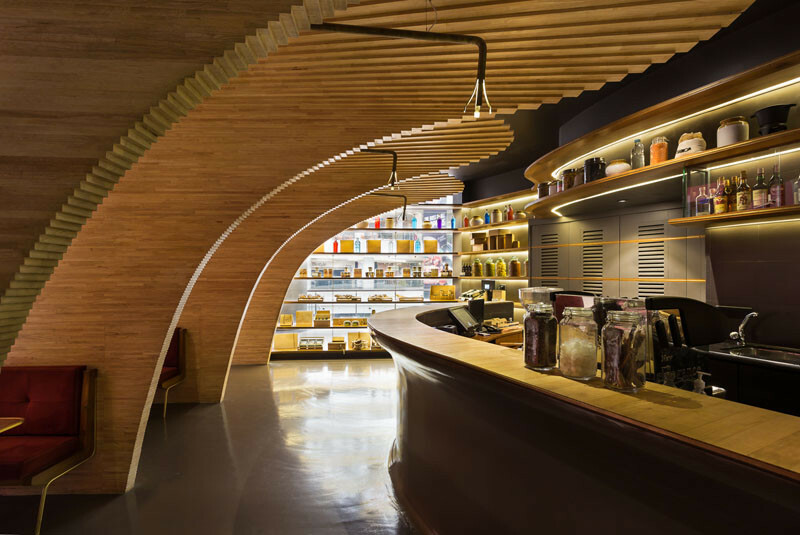 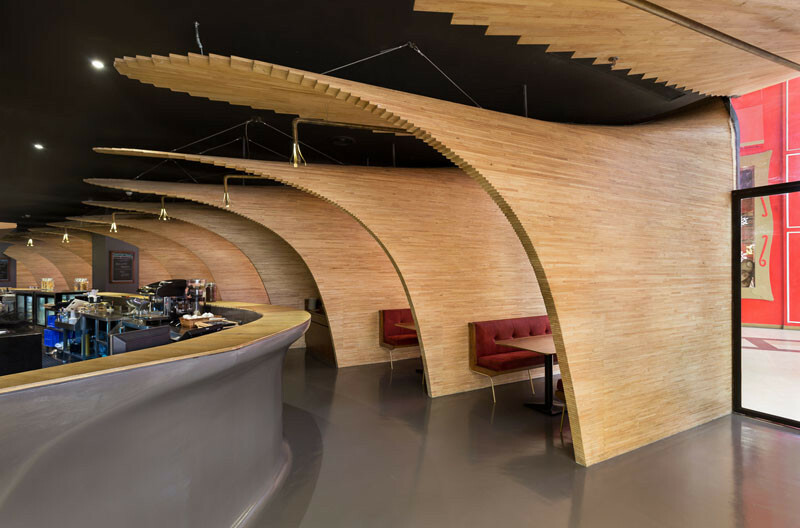 In a world filled with restaurants that have standard conventional facades, this restaurant has changed things up by including a series of sculptural wood elements in the design to give itself a unique identity. 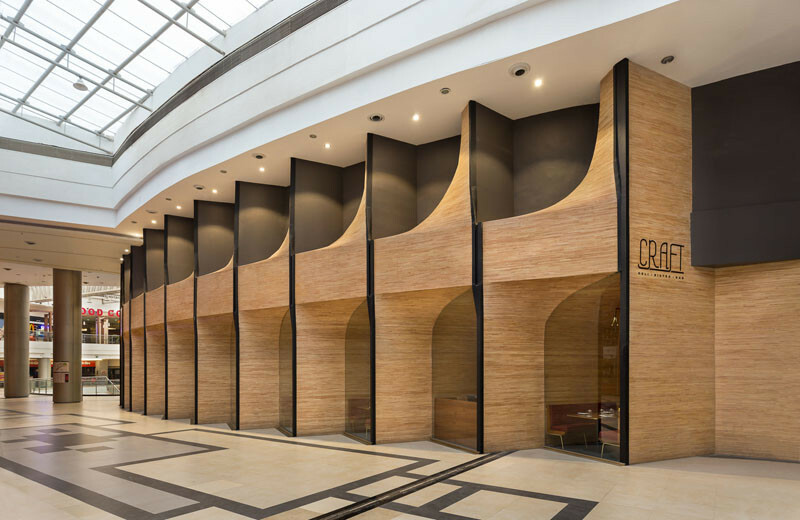 Sameep Padora & Associates (sP+a) worked with their clients to create the unique and engaging facade to draw the customers inside. 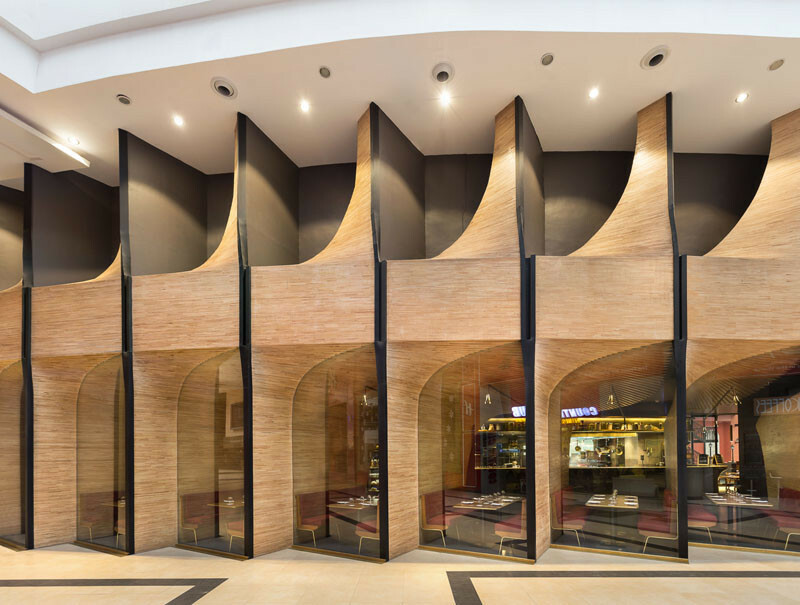 Located within Phoenix Market City in Mumbai, India, the wood ‘arcade’ sections have been assembled by stacking and rotating the horizontal wood parts around a pivot point. 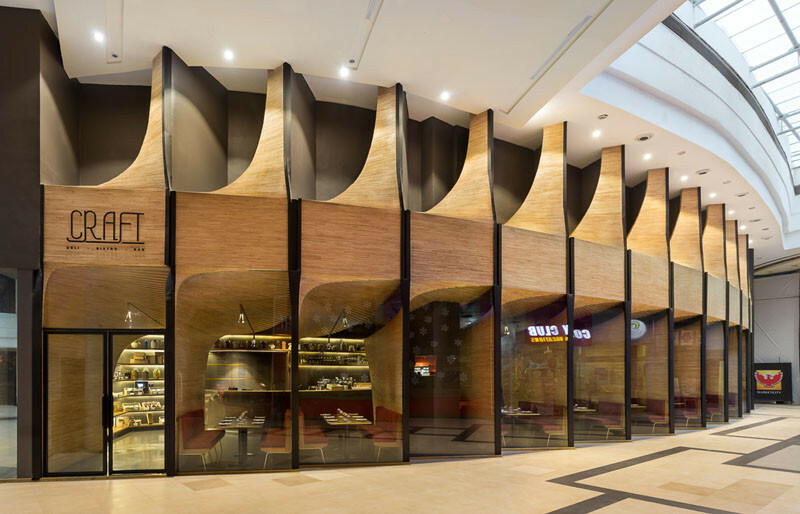 Inside, the true form of the sculptural wood forms can be seen with their curved wave-like shape. 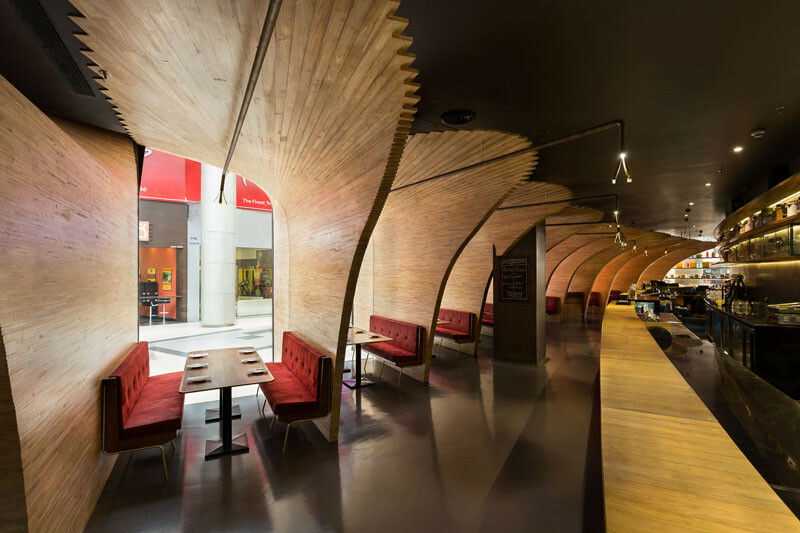 The wood forms also provide the customers a sense of intimacy when they’re dining. 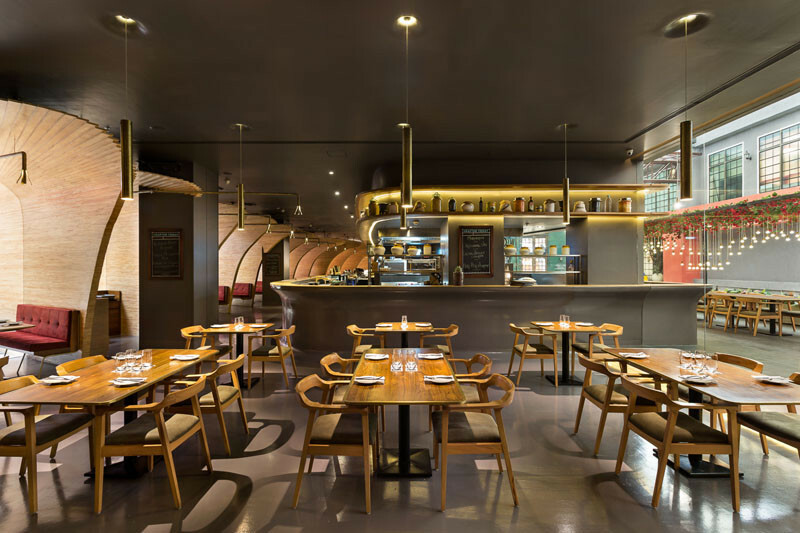 There’s also a central open dining area next to the bar. 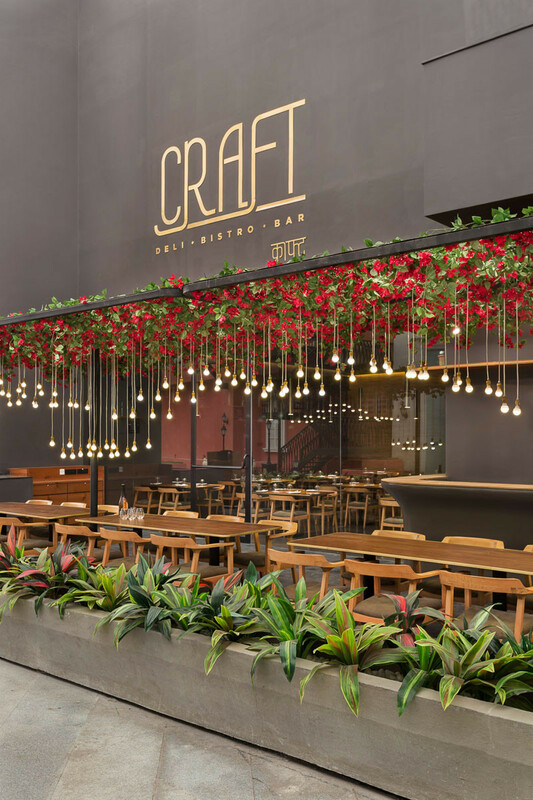 On the other side of the restaurant, the designers created an area that was inspired by alfresco dining.